You are here: Home / Gift Basket Winners / December’s Gift Basket Winner is David Samuelson! December’s Gift Basket Winner is David Samuelson! 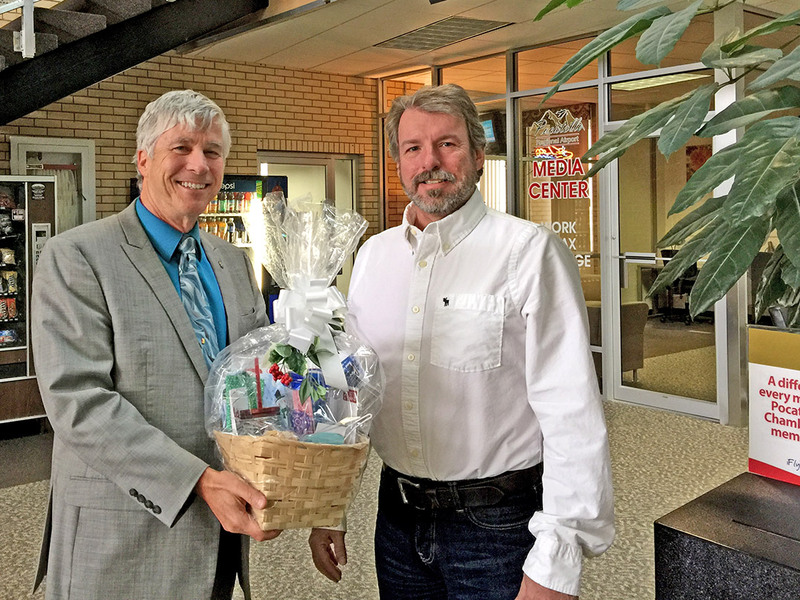 Congratulations to December’s gift basket winner – David Samuelson. We work hard to make flying out of Pocatello a pleasant experience. In fact, Pocatello Regional Airport was recently ranked the 6th best airport in the United States by a major travel website. The reviewers specifically mentioned our amenities. With free Wi-Fi, a media center, free shoeshine stand, filtered water bottle refill station, and even complimentary coffee, Pocatello will feel like no other airport you’ve ever used. You can enter to win a monthly gift basket from local merchants any time you visit Pocatello Regional Airport. Visitors can drop their business cards or an available entry form into the entry box for a chance to win a monthly gift basket from the Pocatello-Chubbuck Chamber of Commerce, and all monthly contestants are automatically entered into a quarterly drawing for two round-trip tickets from Pocatello to Salt Lake. It’s just our way of saying “Thanks” for being part of our community and supporting your local airport. Third Daily Flight Starts March 2nd. Plus Two Flights on Saturday. You Can Make Reservations Now!